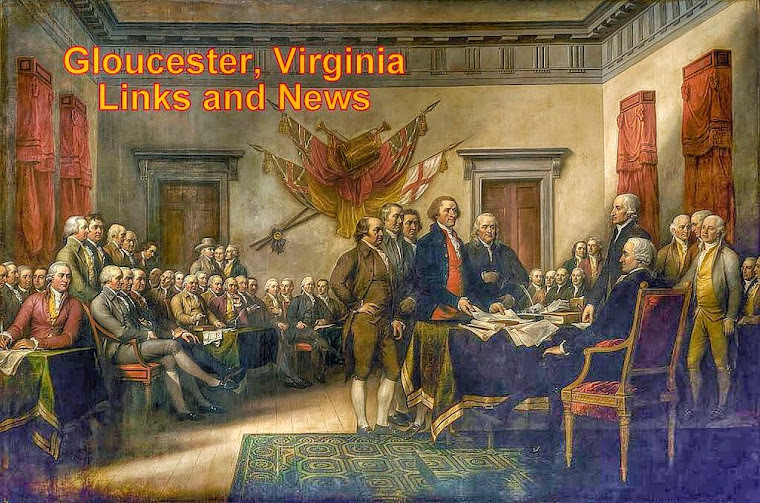 Gloucester VA Links and News: Gloucester, VA Officials Violate Anti Trust Laws In Illegal Gun Fraud Scam? Since when has it become legal to backdate laws? What state code gives any locality in the state of Virginia the ability to backdate when a new ordinance update takes effect? What state law exists in Virginia that allows any locality the ability to violate the Dillon Rule when Virginia is clearly a Dillon Rule state? Since when has it become law for county officials who are not law enforcement officers to sell guns without a license to do so in violation of state laws and antitrust laws? These are some very tough questions we want to see answered. Why? Because it seems that our county Board of Supervisors, county attorney and county administrator have just broken a nice large list of laws that would all seem to qualify as felony charges against each one of them. Let's take a look at this mess. Tuesday night, December 3rd, 2013 the Board of Supervisors voted to pass option 3 of county ordinance 22-20, Purchase of Handguns By Retired Officers. The main objective? To sell an already retired animal control officer a handgun for a buck. Let's look at the entire list of options as it came off of the Gloucester County Virginia Government website. Look at the very bottom of page 12. It is retroactive as of July, 2013. Wait, they just passed this vote Tuesday night, December 3rd, 2013. How can they backdate this? There was no public hearing prior to that date to argue either for or against the ordinance. In fact, it did not even become an issue until September, 2013. How can they backdate the new updated ordinance to July, 2013? Isn't that fraud? It was done to allow Carl Shipley, retired animal control officer, the ability to buy his handgun that he carried for years, for one dollar. But wait, we already argued that he is not eligible to buy his handgun as we are not able to see any state law that allows anyone in animal control to qualify under the state law as it presently exists. County officials have not been able to show evidence of this either. Hold on now, it gets worse. Let's look at the sale of firearms in the state of Virginia. § 59.1-148.4. Sale of firearms by law-enforcement agencies prohibited; exception. A law-enforcement agency of this Commonwealth shall not sell or trade any firearm owned and used or otherwise lawfully in its possession except (i) to another law-enforcement agency of the Commonwealth, (ii) to a licensed firearms dealer, (iii) to the persons as provided in § 59.1-148.3 or (iv) as authorized by a court in accordance with § 19.2-386.29. Brenda Garton is the county administrator, not law enforcement, so exactly how is it that she can be authorized to sell handguns to retired animal control? § 15.2-915. Control of firearms; applicability to authorities and local governmental agencies. A. No locality shall adopt or enforce any ordinance, resolution or motion, as permitted by §15.2-1425, and no agent of such locality shall take any administrative action, governing the purchase, possession, transfer, ownership, carrying, storage or transporting of firearms, ammunition, or components or combination thereof other than those expressly authorized by statute. For purposes of this section, a statute that does not refer to firearms, ammunition, or components or combination thereof, shall not be construed to provide express authorization. From what we are reading above, county officials can not create the ordinance 22-20, option 3 as listed above in the container. § 15.2-1426. Form of ordinances. The object of every ordinance, except an ordinance approving a budget, an annual appropriation ordinance or an ordinance which codifies ordinances, shall be clearly expressed in its title. All ordinances which repeal or amend existing ordinances shall identify by title the section to be repealed or amended. Where is backdating added into the above? § 15.2-1427. Adoption of ordinances and resolutions generally; amending or repealing ordinances. A. Unless otherwise specifically provided for by the Constitution or by other general or special law, an ordinance may be adopted by majority vote of those present and voting at any lawful meeting. B. On final vote on any ordinance or resolution, the name of each member of the governing body voting and how he voted shall be recorded; however, votes on all ordinances and resolutions adopted prior to February 27, 1998, in which an unanimous vote of the governing body was recorded, shall be deemed to have been validly recorded. The governing body may adopt an ordinance or resolution by a recorded voice vote unless otherwise provided by law, or any member calls for a roll call vote. An ordinance shall become effective upon adoption or upon a date fixed by the governing body. 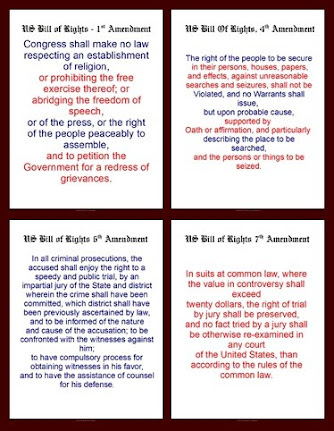 C. All ordinances or resolutions heretofore adopted by a governing body shall be deemed to have been validly adopted, unless some provision of the Constitution of Virginia or the Constitution of the United States has been violated in such adoption. D. An ordinance may be amended or repealed in the same manner, or by the same procedure, in which, or by which, ordinances are adopted. E. An amendment or repeal of an ordinance shall be in the form of an ordinance which shall become effective upon adoption or upon a date fixed by the governing body, but, if no effective date is specified, then such ordinance shall become effective upon adoption. F. In counties, except as otherwise authorized by law, no ordinance shall be passed until after descriptive notice of an intention to propose the ordinance for passage has been published once a week for two successive weeks prior to its passage in a newspaper having a general circulation in the county. The second publication shall not be sooner than one calendar week after the first publication. The publication shall include a statement either that the publication contains the full text of the ordinance or that a copy of the full text of the ordinance is on file in the clerk's office of the circuit court of the county or in the office of the county administrator; or in the case of any county organized under the form of government set out in Chapter 5, 7 or 8 of this title, a statement that a copy of the full text of the ordinance is on file in the office of the clerk of the county board. Even if the publication contains the full text of the ordinance, a complete copy shall be available for public inspection in the offices named herein. In counties, emergency ordinances may be adopted without prior notice; however, no such ordinance shall be enforced for more than sixty days unless readopted in conformity with the provisions of this Code. G. In towns, no tax shall be imposed except by a two-thirds vote of the council members. The highlighted section above does not allow for backdating. Just dating. Let's continue to look at the laws. § 15.2-1433. Codification and recodification of ordinances. Any locality may codify or recodify any or all of its ordinances, in permanently bound or loose-leaf form. Such ordinances may be changed, altered or amended by the governing body, and ordinances or portions thereof may be deleted and new material may be added by the governing body. Such changes, alterations, amendments or deletions and such new material shall become effective on the effective date of the codification or recodification. Ordinances relating to zoning and the subdivision of land may be included in any codification or recodification of ordinances; however, no change, alteration, amendment, deletion or addition of a substantive nature shall be made and no new material of a substantive nature shall be added to such ordinances unless, prior to the date of adoption of such codification or recodification, notice of such proposed changes, alterations, amendments, deletions or additions shall be published as required by the Code of Virginia and public hearings held thereon as provided by the Code of Virginia for adoption and amendment of zoning and subdivision ordinances. Renumbering or rearranging of sections, articles or other divisions of any such ordinance shall not be deemed to be a change, alteration or amendment of a substantive nature. Any such codification or recodification may be adopted by reference by a single ordinance, without further publication of such codification or recodification or any portions thereof. The ordinance adopting such codification or recodification shall comply with all laws of the Commonwealth and any provision of any city or town charter requiring posting or publication of ordinances or notice of intent to adopt ordinances. At least one copy of such codification or recodification or a complete set of printer's proofs of the text thereof shall be made available for public inspection in the office of the clerk of the governing body in which such codification or recodification is proposed to be adopted. No ordinance levying or increasing taxes shall be enacted as new material in any such codification or recodification or amended in substance therein unless advertised in accordance with general law. Supplements for such codifications or recodifications may be prepared from time to time at the direction of the governing body of the locality, either as units or on a replacement page basis; however, where replacement pages are prepared, a distinguishing mark or notation shall be placed on each replacement page to distinguish it from original pages and pages of other supplements. No further adoption procedure shall be required for supplements or replacement pages in which no substantive change is made in ordinances previously and validly adopted by the governing body of the locality. If changes, alterations, amendments, deletions or additions of a substantive nature are made in any such supplement, then such supplement shall be adopted by the governing body in the same manner provided by general or special law. At least one copy of any codification or recodification adopted hereunder and at least one copy of every supplement thereto shall be kept in the office of the clerk of the governing body and shall there be available for public inspection during normal business hours. 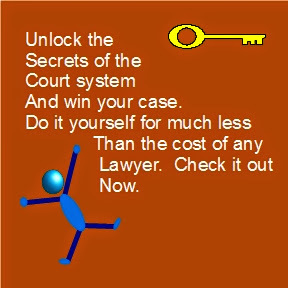 Any codification or recodification adopted hereunder shall be admitted in evidence in all courts without further proof. From what this state code reads, backdating is not an option. Also, we looked at the October meeting where this was first introduced. Effective backdating was not listed as a potential option and the public was not made aware that this change to the local ordinance would be backdated. So again, we ask how is this legal? See below for the full documentation. Now in all fairness, I can argue a case for the backdating based on the way the state code reads, however, it would have to be advertised and also included in previous documents to take legal effect, which the backdating of the new ordinance in question does not have attached to it. Therefore, I could not reasonably argue the backdating the way it has been done. Therefore, it is viewed as fraud in our opinion. Let's also look at the legal definition of Animal Control. § 3.2-6555. Position of animal control officer created. The governing body of each county or city shall, or each town may, employ an officer to be known as the animal control officer who shall have the power to enforce this chapter, all ordinances enacted pursuant to this chapter and all laws for the protection of domestic animals. The governing body may also employ one or more deputy animal control officers to assist the animal control officer in the performance of his duties. Animal control officers and deputy animal control officers shall have knowledge of the animal control and protection laws of the Commonwealth that they are required to enforce. 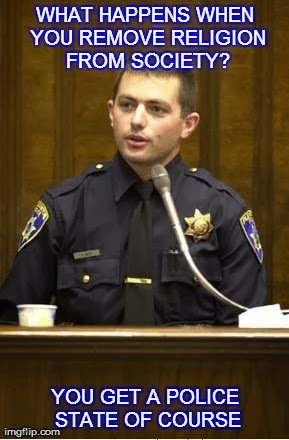 When in uniform or upon displaying a badge or other credentials of office, animal control officers and deputy animal control officers shall have the power to issue a summons or obtain a felony warrant as necessary, providing the execution of such warrant shall be carried out by any law-enforcement officer as defined in § 9.1-101, to any person found in the act of violating any such law or any ordinance enacted pursuant to such law of the locality where the animal control officer or deputy animal control officer is employed. Commercial dog breeding locations shall be subject to inspection by animal control at least twice annually and additionally upon receipt of a complaint or their own motion to ensure compliance with state animal care laws and regulations. The animal control officer and the deputy animal control officers shall be paid as the governing body of each locality shall prescribe. Any locality where an animal control officer or deputy animal control officers have been employed may contract with one or more additional localities for enforcement of animal protection and control laws by the animal control officers or deputy animal control officers. Any such contract may provide that the locality employing the animal control officer or deputy animal control officers shall be reimbursed a portion of the salary and expenses of the animal control officer or deputy animal control officers. Every locality employing an animal control officer shall submit to the State Veterinarian, on a form provided by him, information concerning the employment and training status of the animal control officers employed by the locality. The State Veterinarian may require that the locality notify him of any change in such information. The above does not show Animal Control officers as qualifying under state code; § 59.1-148.3. Purchase of handguns of certain officers. So what we have here is a county ordinance that appears to violate the Dillon rule on multiple levels, is backdated and contains the sale of guns by a person not authorized by the state to sell handguns? All written by a county attorney and approved in a 5 to 1 to 1 vote by the Board of Supervisors? And these people patted themselves on the back for all of this and more?